Dupe or not? 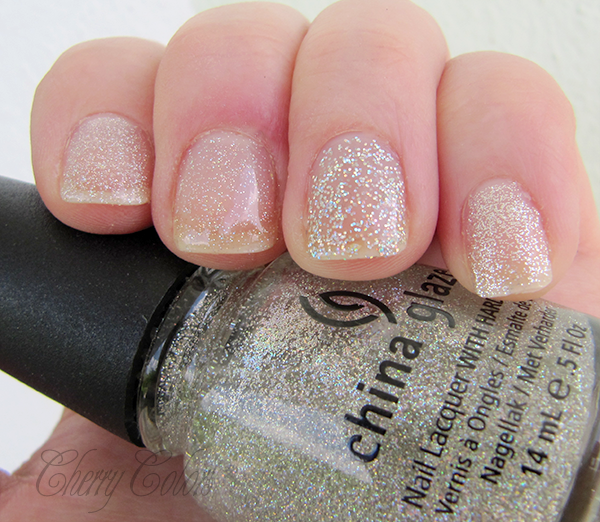 China Glaze Fairy Dust - Cherry Colors - Cosmetics Heaven! 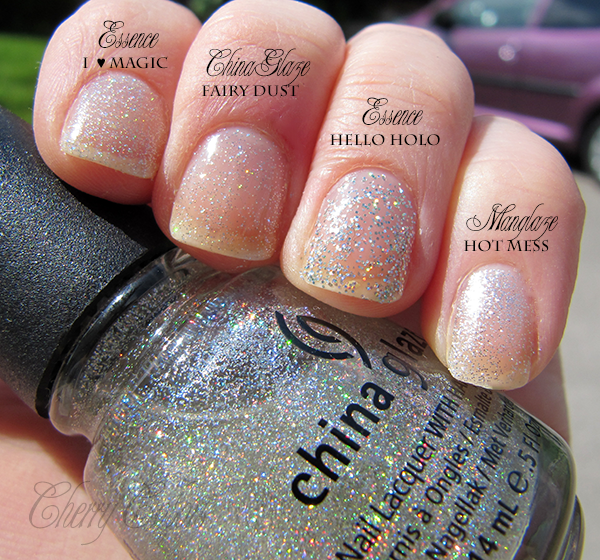 Today I am looking for dupes for the well known China Glaze Fairy Dust. I am sure most of you are aware about it, especially if you are into polish-aholics kind of groups. Two layers, no top or base coat. Drying time is fine, as you'd expect from a topper. Maybe 5 mins max? 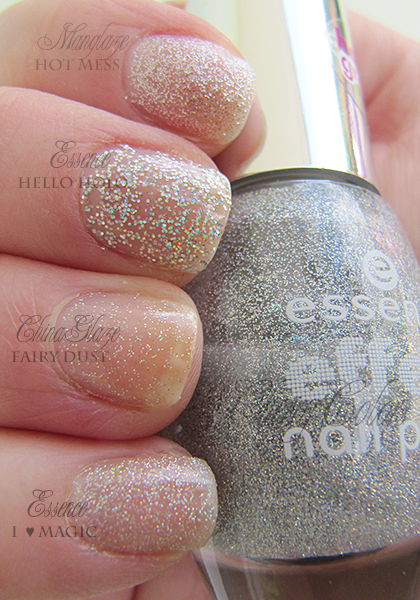 Essence Hello Holo (sadly discontinued), must be my favorite of the bunch. Why? Because it shined incredibly when on the sun. Not even on the sun, also indoors. It's incredible. But also understandable because it has bigger glitter, regular glitter holo. Of course this one isn't a dupe, but is just pretty and belonged here. 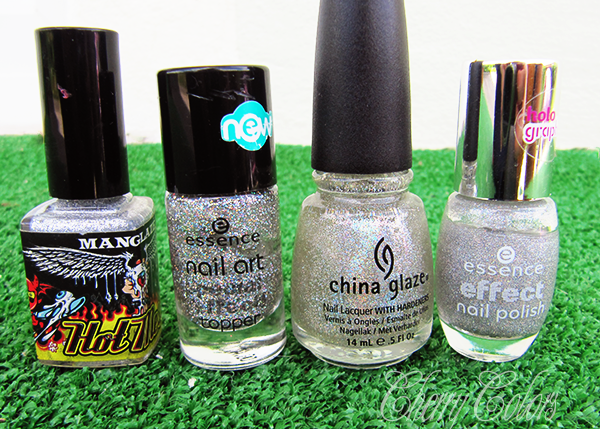 ManGlaze Hot Mess ($13.13) is actually not a holo glitter.. I kind of forgot that, haha. But it does shine very well when used with a top coat. It's silver small glitter, lovely. Not a dupe, tho. Funny enough I had the same hard time removing all this glitter, not depending on the size of the glitter. Which made me giggle, while I was scrubbing my damn fingers off. Of course I was too lazy for the foil method! Do you think Essence is a good dupe? Would you prefer having the original ChG or is a dupe good enough for you?